On behalf of Admin of JML Law, A Professional Law Corporation posted in Pedestrian Accident on Friday, Oct 05 2018. There are no shortage of activities to engage in or sights to explore by foot in Los Angeles. Great restaurants, multiple sports teams, luxury shops, famous landmarks—all staples of Los Angeles that can be enjoyed on foot. Unfortunately, as appealing as it may be, being a pedestrian in Los Aneles is not without risk. Accidents involving pedestrians occur every day nationwide and California is no expectation. In fact, it may be more dangerous being a pedestrian in California than virtually anywhere else in the United States. 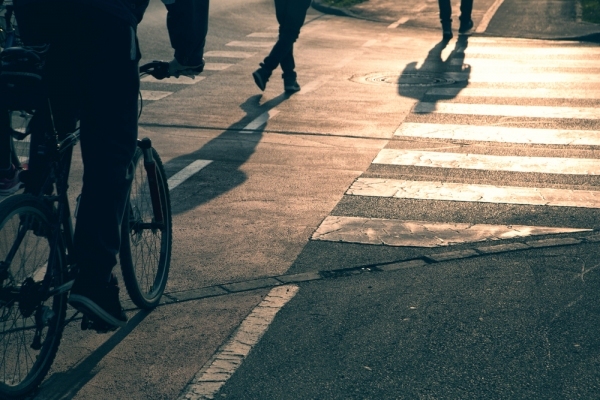 Pedestrian accidents can cause serious injury, emotional strain, and loss of income. And while there is no way to completely avoid accidents, being aware of the dangers of being a pedestrian in Los Angeles may increase your safety. However, if you were recently a victim of a pedestrian accident in Los Angeles, you may want to consult with a Los Angeles pedestrian accident attorney to address your situation on an individualized level. Pedestrian-related accident fatalities are on the rise in America. In fact, pedestrian fatalities raised almost 30 percent over the course of nine years from 2007-2016. Sadly, Los Angeles was a leading cause of the rise. Los Angeles experienced well over 250 pedestrian deaths in 2016, leading the nation. While there is not a singular cause to Los Angeles’s high pedestrian fatality rate, there are many contributing elements. Los Angeles is a highly populated area, which means more pedestrians and motorists. A higher number of people will usually lead to a higher number of accidents. Common negligent driving practices could also be contributing to the numbers. Common negligent driving practices include driving while under the influence of drugs or alcohol, driving while distracted by a device, driving while exhausted, and failing to adhere to traffic laws while driving. Another factor could be the numerous night-time activities available in Los Angeles. Driving at night increases the likelihood of vehicle accidents and makes pedestrians hard to see. California has specific laws in place to attempt to prevent pedestrian accidents. These laws require cooperation between pedestrians and drivers. Drivers are responsible to yield to pedestrians at a crosswalk or intersection. Pedestrians are responsible for being mindful of approaching cars when they enter a roadway. They should also cross roadways at a reasonable pace. Los Angeles is the nation’s leader in pedestrian accidents. If you were involved in a pedestrian accident and contributed to the numbers, you are likely to suffering physically, emotionally, and financially. To suffer in so many different ways because of the negligence of another person is unjust. You should not have to suffer alone.